Life of a mad typer: Enjoy cooking the Funbites way, Review. Enjoy cooking the Funbites way, Review. I'm sure you already know what Funbites are, if you don't, you are missing some serious kitchen fun and some happy children (husbands too). Remember all those years making boring sandwiches for the family lunch boxes, well now Funbites make those plain sandwiches look jolly and enjoyable.Children actually look forward to some homemade lunch, weird enough my husband enjoys this clever device as much as our kids do. Funbites is a smart device, created to simplify your life while making food fun to eat. 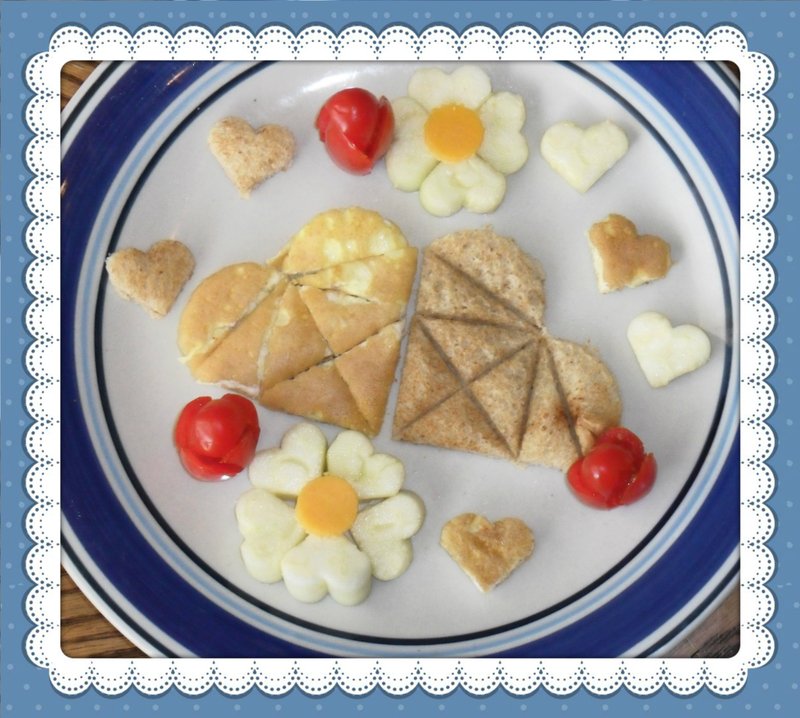 The monotonous every day ham and cheese sandwich can be made into a creative and delightful food experience, Funbites come in 3 different shapes: Squares, triangles and hearts. The company was kind to send a press sample. I was given the opportunity to try the heart shaped and I honestly can say, since the Funbites arrived with the mail, I've used it everyday in one way or another. The cute gadget has 2 parts : the curved blade and the matching popper that keeps your hands clean and the food untouched. 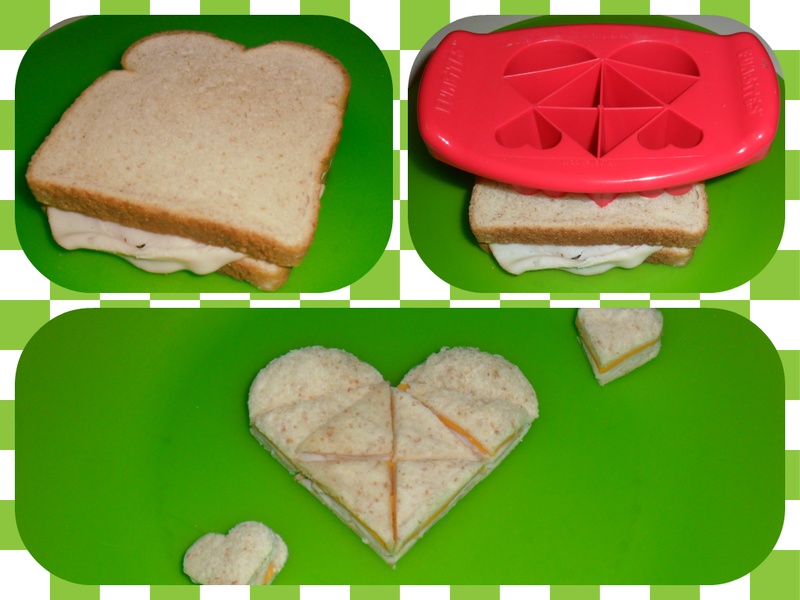 There are so many things you can do with the Funbites, I've used it to cut: sandwiches, bread for toasts, fruits, cheese, omelettes, pancakes, flat-bread pizza, burgers, frittata, cake-sheets, piononos, brownies, waffles, quesadillas and so many others, this lovely sandwich cutter is really easy to use. Funbites makes your kid veggies totally tots friendly, children between 5 to 13 enjoy solving puzzles, teens and adults just love cheerful meals. 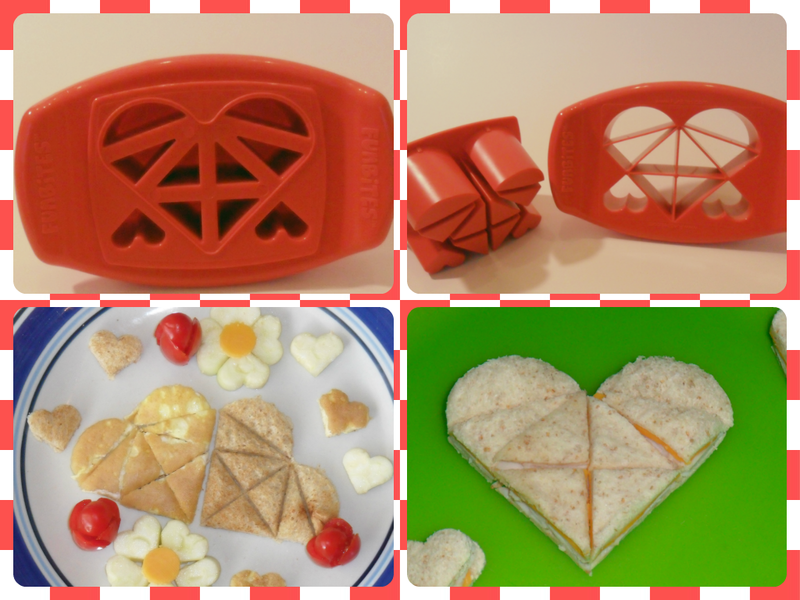 The fun food is designed to make the pickiest eater enjoy their food, it doesn't matter what it is and they will overlook the fact they are eating healthy veggies and not junk food, the cutter makes the perfect bite-size pieces allowing children and adults to eat with out complications. The Funbites is easy to clean (hand-wash) and top shelf dishwasher friendly, BPA free. Those are so cute! Anything tastes better when it's heart-shaped! great idea....my kids will love this! I love Funbites. They are so fun! My kids would LOVE that. What a cool idea. I bet if I introduced this into my sandwich making repertoire I could get my kids to eat any sandwich. They'd love this. I so could have used those when my kids were little. It was difficult to get my oldest to eat so we had to be very creative! OMG THIS IS AWESOME! And, yes, I needed CAPS for all of that! My son would love this!!! This is so cute! I think doing this with my toddler's food might help her to actually eat a little more! We have these. my kids love them! Cute idea - but what do you do with the trimmings - seems like there would be a lot of wasted pieces when it cuts. I think they are super cute, but also want to make sure my son isn't wasting food just to have a "cute" cut. Hi Lia, The trimmings fun you mention them. I been using them for different things cheese and ham sandwich adding them to mac and cheese veggies to the salads, things like carrots and squash go to mashed potatoes! We just have to get creative as your would do with leftovers! love this- it would make eating fun! 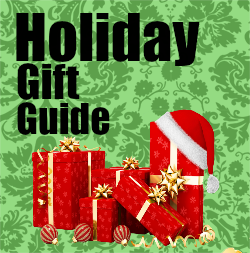 Is This Great Or What My Kids Will Love This Thank You! oh wow! I saw a commercial for these. Nice to actually see it in action. We love Funbites! We use it with fruit too! I've actually been considering purchasing another one.